This is my 201th post! 25 followers came at the same time too. So because of all of that I am doing a giveaway! Here are some of my Etsy outfits. What I am giving away: Winners choice of any 1 outfit from my Etsy shop. How to enter: Go to my Etsy shop and take a look around. Come back and leave a comment saying which outfit you would like to win. To get extra entries do one of the following things, and come back and leave a second comment telling me what you did. Post about this giveaway on your own blog, and link back to this post. Each of these things will get you an extra entry. Also if you buy something from my Etsy shop you will get another entry. Leave your comment no later then October 15. I will pick the winner at random. I would like to enter! I would like to win the 4th Of July Outfit. Thanks for the giveaway! I have a parent’s permission and I would love to enter! I think I would like to win the pink crocheted dress. Is that the outfit I would automatically win if I won this giveaway? Oh, and I follow your blog by email. Thanks for the giveaway! The person who wins will win the outfit that they said they liked. Do you mean the school dress, with the long sleeves, or the other one, with the short sleeves? I follow you and I favorited your Etsy shop! I would love to win the American Girl Doll Overalls set. Thanks for the great giveaway! I would like to win the overall set. I would like the red riding hood costume. Great giveaway! I unfortunately cannot enter this giveaway at the moment. 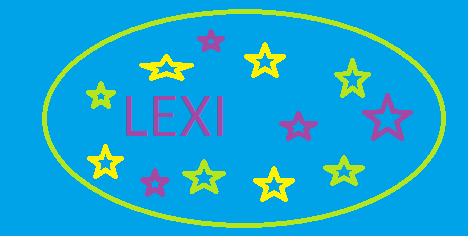 Hey Lexi! I would like to enter. I have a parent’s permission. My favorite item is the Grace inspired one. I favorite your shop on etsy and follow this blog. Thank you! Which outfit would you like to win? i want to enter! I think I love the grace inspired crochected outfit. thanks! I would like to win the little red riding hood costume! I have parents permission, I followed your blog (For an extra entry) and if I won I would like the Little Red Riding Hood Costume. Thanks for entering me! I would like to win the little red riding hood outfit. I would like to win the red riding hood costume. I like the school outfit. I’m sorry, but to get it there would be twice as much as the outfit. Maybe the next giveaway will ship to Canada. Sorry about that. I would like to enter. I would want the white dress or the Halloween decorations. I am giving away one OUTFIT, not the decorations. Sorry if that was confusing. Do you mean the grace inspired dress, or the light blue dress?